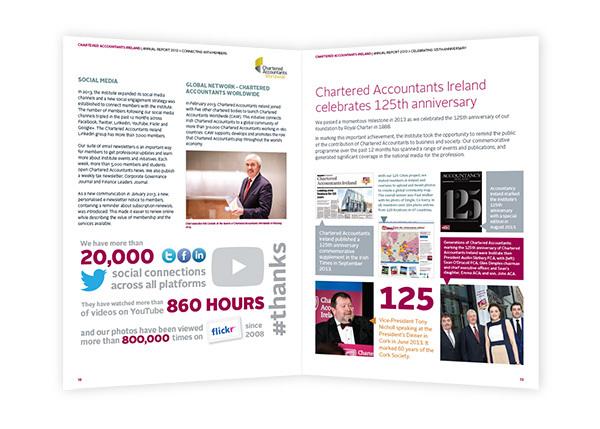 Chartered Accountants Ireland is a membership body representing 24,000 influential members throughout the globe. Their role is to educate, represent and support our members. 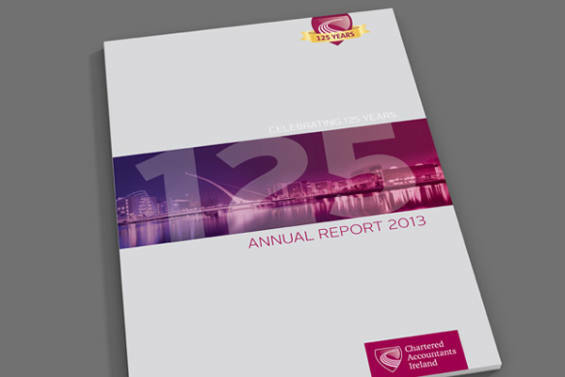 Resonate has designed the Chartered Accountants Annual Report for the past two years. The report is primarily distributed as a pdf, although a small number were printed. The design is a simple clean layout with infographics and photos throughout.